Does your car need a battery? Struggling to figure out which one your car needs? 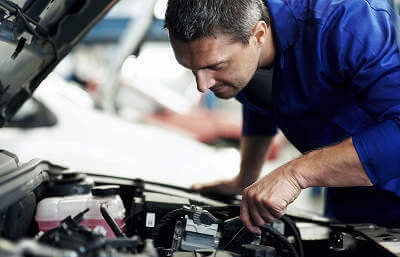 The easiest thing to do is pop open the bonnet and check what car battery you need, it usually says on the top or sides what voltage, amp and how long the battery will last in hours. Always check the car’s user manual to see what the manufacturer recommends. Alternatively, you can just enter your reg into MyCarNeedsA.com and our garages will know by your reg number which battery your car needs . It’s so easy to get quotes and discover what car battery your car needs , just type in your reg and we’ll start getting the quotes in. If you are buying a new battery it can be quite overwhelming, there are different types of batteries with different amps and voltages. Car Batteries can last 3 to 5 years which is quite a long time however, it’s like any other part of your car they will eventually need to be replaced. Battery life really does depend on how much you drive the car, what type of driving you do for example motorway or city driving, it can even depend on your vehicle and simple things for example if you charge your phone/ satnav or gadgets in the car, these all use up battery power. Lead-acid battery - These are reasonably priced and promise 20,000 engine starts and most come with a 3-year guarantee. EFB - This type of car battery is typically used in stop-start vehicles. Lithium-ion batteries - These are typically used in hybrid and electric vehicles. If your car has a start-stop function then it's likely you have an EFB battery, they are designed to work better under constant stopping and starting. These car batteries are slightly more expensive than regular batteries, however, most promise over 300,000 starts and will last longer. Another tip when choosing a car battery, always check the sticker or markings on the side or top which show two numbers. These two numbers reflect the month and year the battery was made. Always check this to give yourself an estimate as to when your car battery will need to be replaced. Never buy your battery based on price first, always check what specification you need and check the guarantee with the battery. Get quotes for your car battery online with MyCarNeedsA.com. No more calling around, just sit back, relax, type in your reg and we’ll do the hard work.